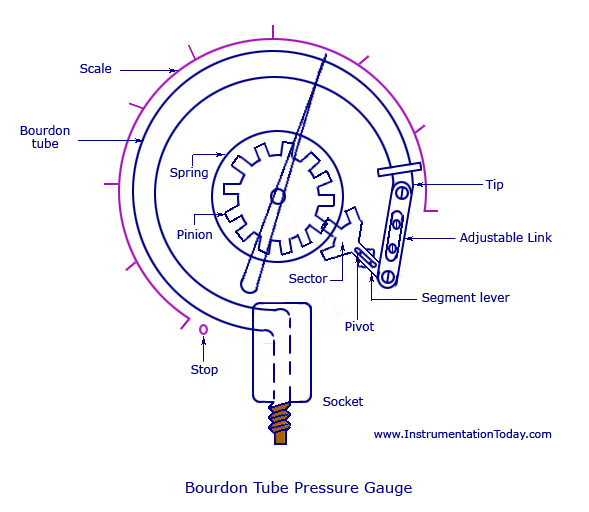 » Articles » A tutorial on Pressure Gauges – Bourdon tube, Glycerine filled or Liquid-less? A tutorial on Pressure Gauges – Bourdon tube, Glycerine filled or Liquid-less? Pressure is very commonly monitored on process sites all over the World, and one of the instruments used to measure pressure is the Bourdon Tube Pressure Gauge. The Bourdon Tube is the name given to the mechanical component that allows the needle to move round the dial, as it was invented by an engineer by the name of Eugene Bourdon in France in 1849. The Bourdon Tube measuring principle works by having a tube in the shape of a ‘C,’ which straightens as pressure increases. The intensity of the ‘straightening’ is linked to a coiled hair spring, which in turn moves the pointer around the dial. 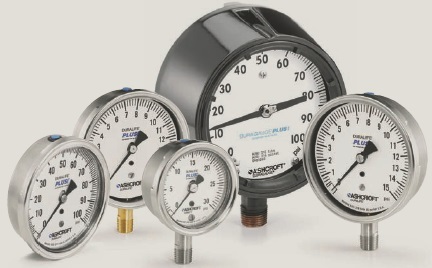 Pressure gauges come in a wide range of options and sizes, most commonly from 50mm dial up to 150mm dial sizes, various connection sizes and ranges from full vacuum (-1 BarG) up to 1000 Bar and above. More commonly supplied in all Stainless Steel materials for process applications, gauges can also be supplied in exotic alloys if they are to be used in aggressive environments. Pressure gauges in their most standard form are to give a visual reading only. This can sometimes be difficult as the mechanical system reacts very sensitively to the pressure reading. Therefore, the needle appears to be a blur as it struggles to hold steady. There are multiple solutions to this problem, including using a glycerine or silicon filling fluid to dampen the needle movement. Another option which is becoming more widely available is the use of a mechanical damping system in the gauge, ensuring a rock steady reading. This is achieved whilst maintaining very high accuracy with the reading. Liquid-less pressure gauges use an innovative pointer stabilization appliance within the movement to provide the dampening benefits of liquid-filled gauges in a dry configuration. There are many options to be chosen with pressure gauges if being used in difficult applications. ATEX Explosion Proof certification, Safety Glass, Blow-Out Back, along with the option of fitting the gauge with a diaphragm seal are all popular options. 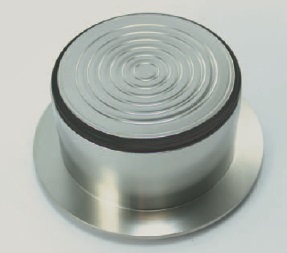 Diaphragm Seals are used to create a partition between the process, and the inner workings of the instrument. This is necessary if the process is aggressive, hygienic or viscous as the risk of either damaging the instrument or contaminating the process needs to be avoided. Pressure gauges are a cost effective solution to give visual reading of pressure on site. There are other options if the application requires electrical feedback to a control room, such as Electrical Contacts Gauges. Electrical Contacts Gauges work in a similar way, but are fitted with adjustable limit switches on the inside. When the measuring needle passes over the contact, the electrical component can send a signal to a control room informing the operator, or performing a function. E.g. Switching a pump off. This is a quick guide to how and where pressure gauges can be used. For more in-depth technical information, please contact us at enquiries@processindustryforum.com.